Seller will give you a gift certificate in the amount of 4,9889 RUB for a positive review of the product purchased. Each buyer has left a positive review (I want a gift) - gets one of more than 40 different games for Steam. Which one? You will learn about this when you receive your GIFT. 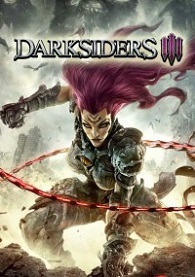 In Darksiders III you have to return to Earth in the role of FURY, which intends to find and destroy the Seven deadly sins. 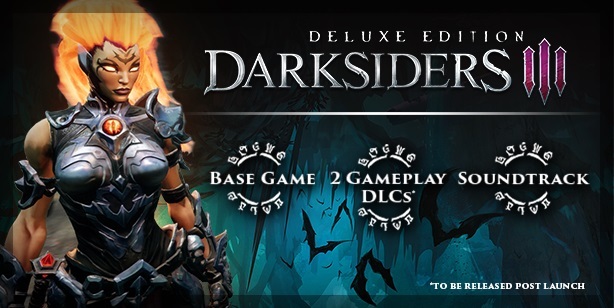 Darksiders III - the long-awaited third chapter of the popular Darksiders series. - Become a FURY - a magician who fights for the restoration of the balance of power on Earth with the help of a spell and a whip! - Master various forms of magic. - Explore the world full of secrets. - Defeat the Seven Deadly Sins and their servants, among whom will meet both mystical creatures and real monsters. Seller will give you a gift certificate in the amount of 4,9889 RUB for a positive review of the product purchased..